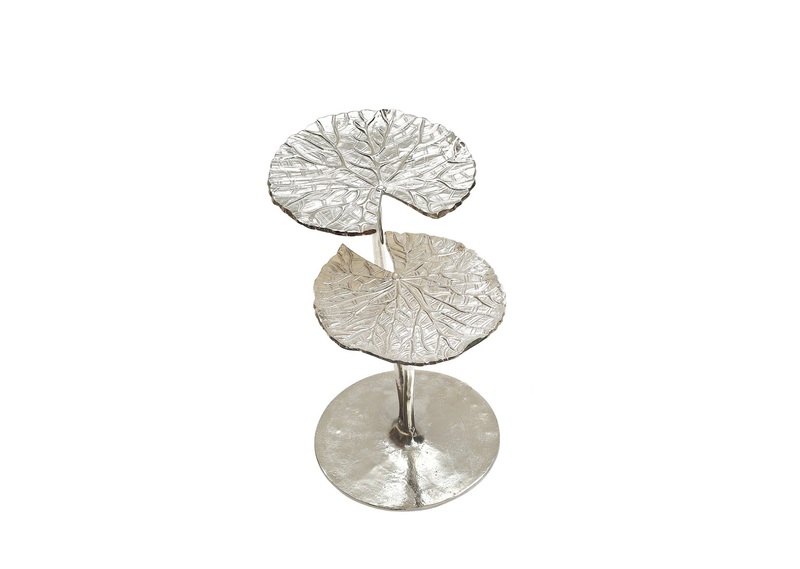 Description: Set down your drink on this leaf accent table. The metal construction offers strong support for your beverage, while the silver finish provides an attractive complement to the earthy-style top. 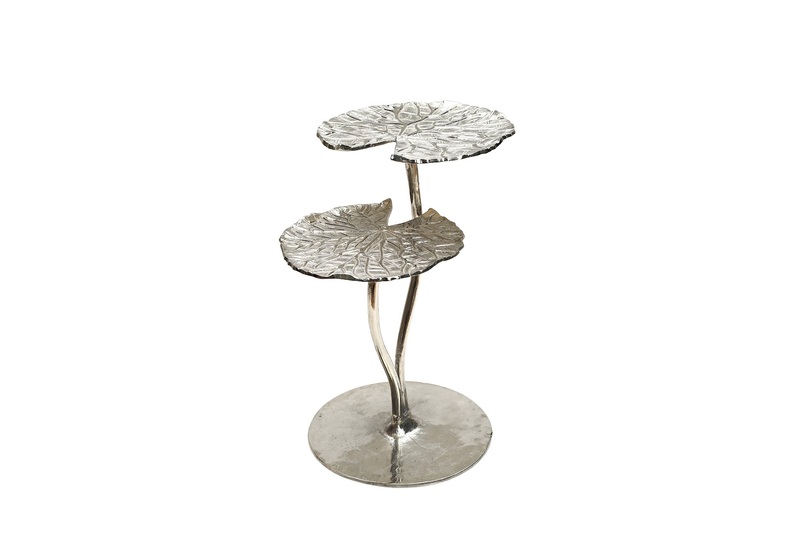 Modern leaf table blends well with contemporary decors – Can be used as a side, end, or accent table – Metal construction offers strong support – Silver finish adds beauty.